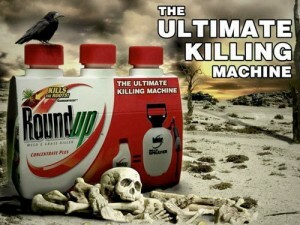 California just dealt Monsanto a blow as the state’s Environmental Protection Agency will now list glyphosate – the toxic main ingredient in the U. S.’ best-selling weedkiller, Roundup – as known to cause cancer. Under the Safe Drinking Water and Toxic Enforcement Act of 1986 – usually referred to as Proposition 65, its original name – chemicals that cause cancer, birth defects, or other reproductive harm are required to be listed and published by the state. Chemicals also end up on the list if found to be carcinogenic by the International Agency for Research on Cancer (IARC) – a branch of the World Health Organization. This post was published at The Daily Sheeple on September 14th, 2015.